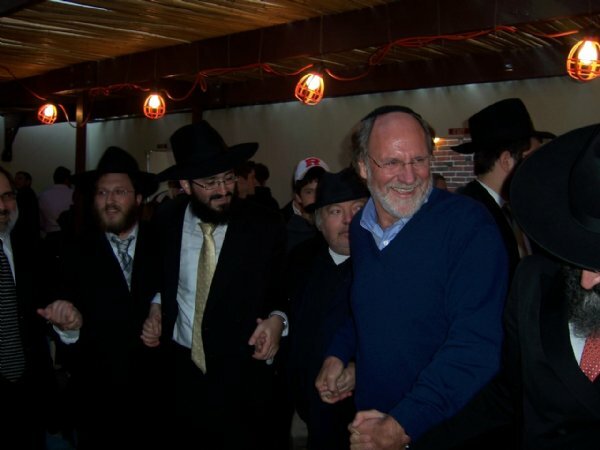 Sushi in the Sukkah with Governor Corzine On the last night of Chol Hamoed Sukkot, the Governor of New Jersey, Jon Corzine, attended a lively Musical event with hundreds of New Jersey residents. This event was uniquely called. 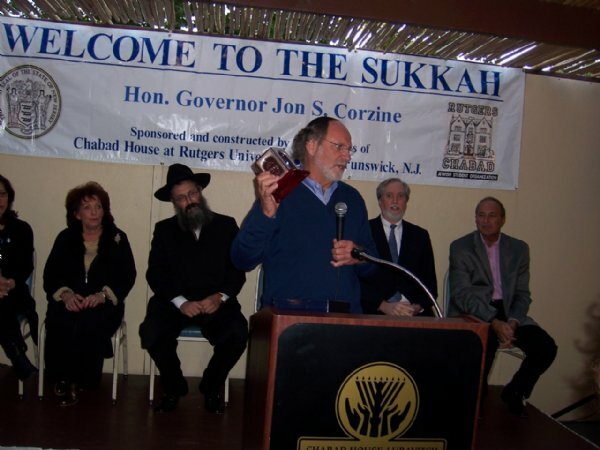 "Sushi in the Sukkah", and more than 300 students and adults came from Rutgers University and throughout central and south New Jersey. 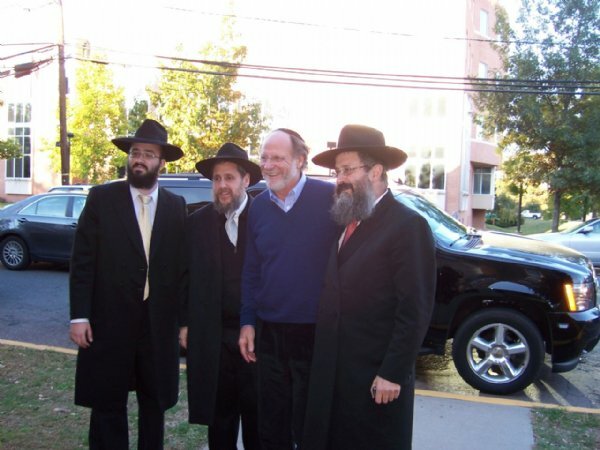 The Governor was met with loud cheers and applause as he stepped into the Sukkah. 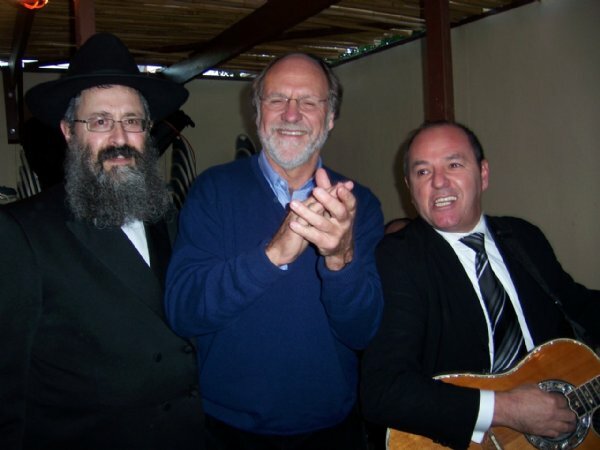 Sandy Shmueli and Orchestra had the entire crowd up off their chairs and joining with a lively dance with the Governor for more than 30 minutes. 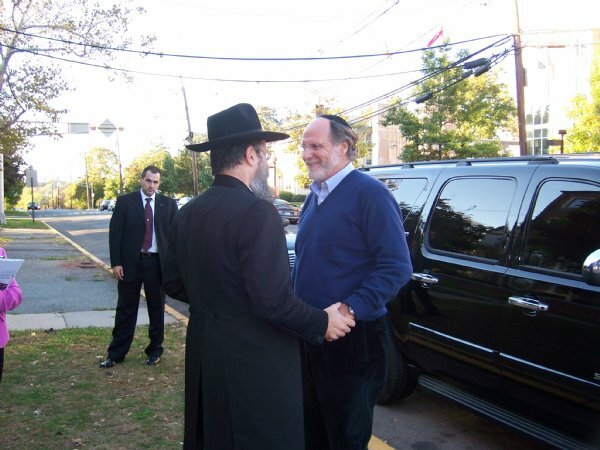 During the program, Rabbi Yosef Carlebach, director of Chabad activities, noted that this year was the second Sukkah Party honored by the Governor's presence, and in fact, New Jersey was the only State in the Union that had a Sukkah built in the Governor's residence and a Governor officially attending a public Sukkah event. 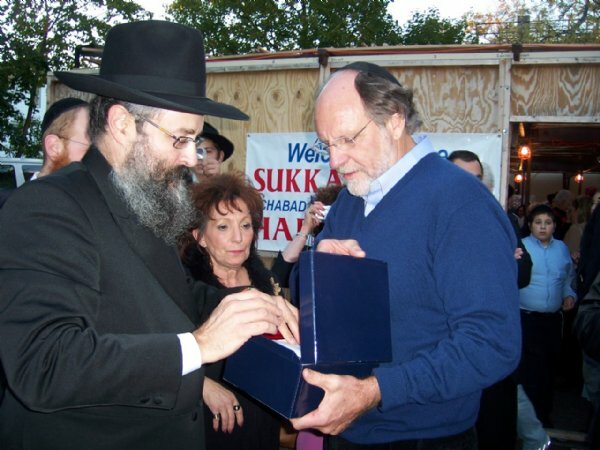 The Rabbi presented the Governor with a silver "Pushka"-Charity Box, and a special Dollar Bill that the Rabbi had received from the Lubavitcher Rebbe, Rabbi Menachem M. Schneerson in 1992. 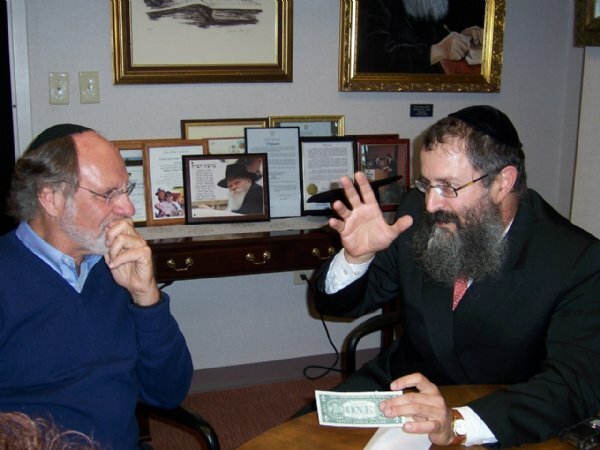 The Governor emotionally received the "Pushka" and stated that he would place in in a prominent place in his office, and he would cherish the Rebbe's Dollar and Blessing. 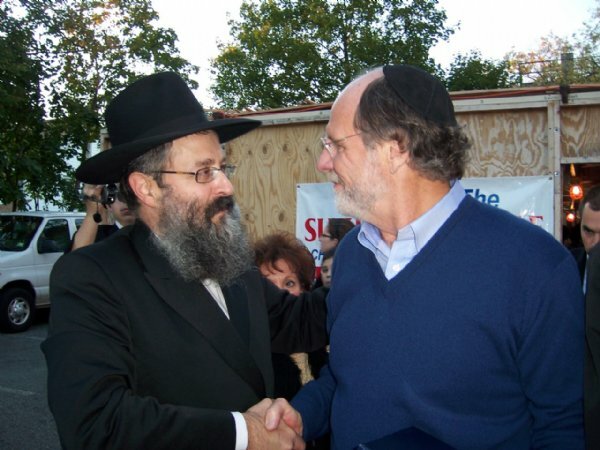 The Governor further spoke to the large crowd about the meaning of the Jewish High Holiday period, and that this Festival of Sukkot was special and powerful in asking for Heavenly Blessings as we all enter the New Year. 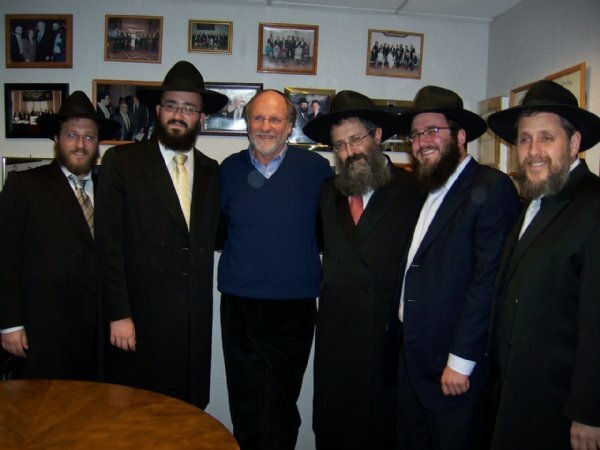 The Governor then wished everyone a "Happy. 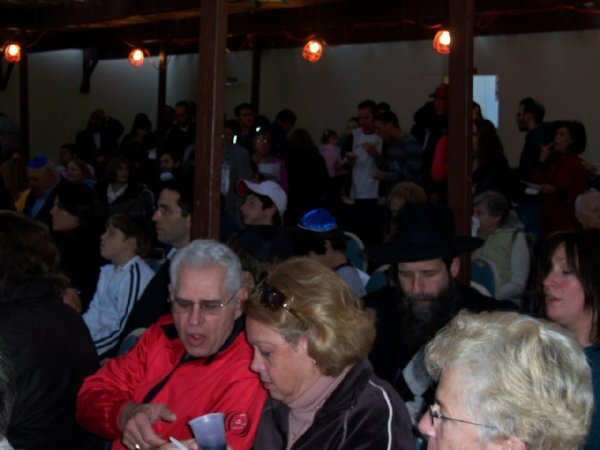 Healthy New year", and stayed for additional singing and dancing. 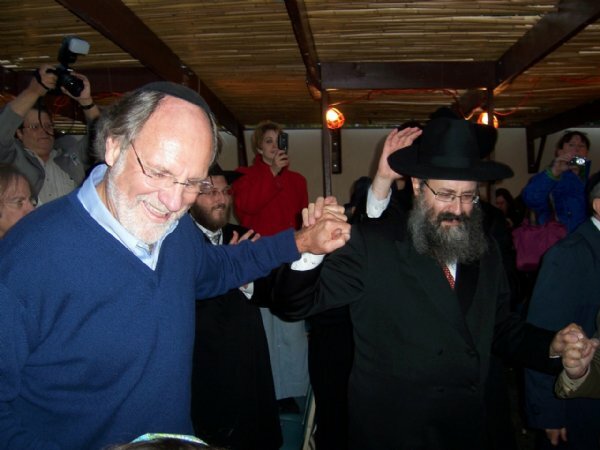 The participants were amazed at the warmth and exemplary friendship of the Governor and danced together for over an hour.